The final night of the regular season produced quality play as teams head into their region tournaments next week. Let’s look at the results. 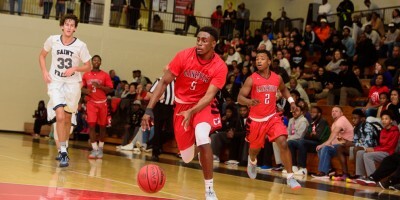 For the boys, Galloway defeated Atlanta Classical Academy 69-50 in a Class A Region 5 game. Galloway enjoyed a 16-12 lead after the first quarter. The Scots took control of the game by outscoring the Cavaliers 14-6 in the third quarter and 21-16 in the final frame. Anthony Arrington, a 6-foot-2 freshman, led with 24 points. Jacob Ripps, a 6-2 junior guard, added 16 points and senior Connor Hay, a 6-3 forward, finished with 10 points. In another Class A Region 5 game, Mount Vernon beat Cross Keys 86-18 behind a 22-point effort from Andrew Douglas. 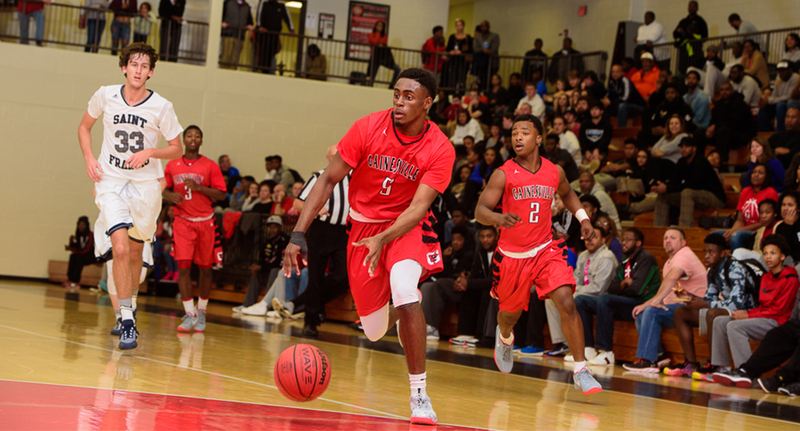 Jordan Wicker scored 13 points, Jacari Douglas added nine points and Alex Holliday finished with eight points. In a Class AAA Region 3 game, Beach defeated Glynn Academy 56-53. Beach trailed 38-37 after three quarters before it rallied with a 19-15 effort in the fourth quarter which put the game away. For the girls, in a Class AAAAAA Region 4 game, Lovejoy defeated Forest Park 55-50 behind a 24-point effort from junior Anaya Boyd. Junior Genesis Bryant added 16 points. Forest Park’s Sania Feagin, a 6-4 sophomore center, led the Panthers with 17 points, 21 rebounds and six blocks. Mount Paran Christian defeated Pinecrest Academy 60-21 in a Class A game. Mia Geveke, a freshman shooting guard, led with 17 points. Freshman guard Kara Dunn added 10 points and Jasiah Washington, a junior center, scored eight points. In a Class AA Region 3 game, Dodge County outscored Bleckley County 17-7 in the second quarter to take a 34-19 lead at the break as it held on through an evenly-matched second half to win. Destanee Wright, a 5-5 senior point guard, led with 33 points. Europe Brown, a 5-8 senior forward, added 13 points. Senior forward LaShauna Coley scored 12 points, Cheyenne Hunt, a 5-7 sophomore, scored four points for the Indians.